This bag organizer can fit into LV Neverfull MM and other similar Tote bags. – I can do customized size to fit your bags. Please leave note to me when placing order. – Made of high quality fabric, with reinforced boards at both 11.8’’ sides of the bag, and a reinforced board on the bottom of the bag. 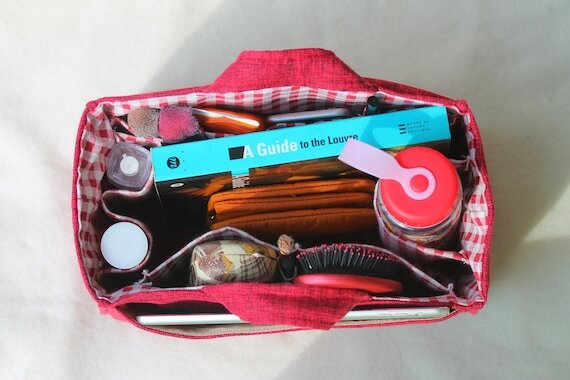 – Many pockets for your sunglasses, pens, car keys, water bottles, books and personal belongings. – A dedicated pocket for iPad. 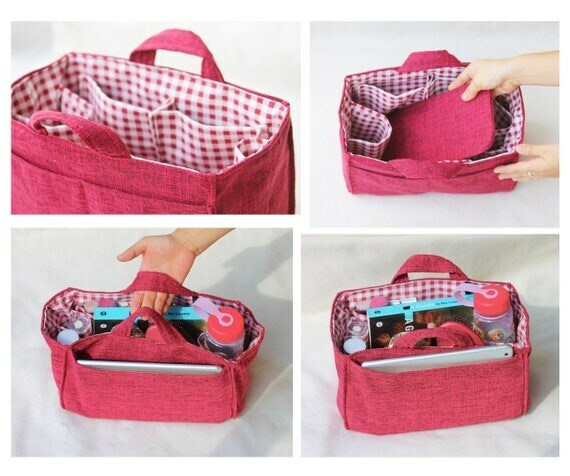 – The organizer has handles which are convenient to carry when switching bags. – Purely made by hand with stitch. No glue has been applied.